Choose the Colts Neck movers trusted by many of the 13,000 residents for exceptional household and commercial relocations - all over the world - Simonik Transportation & Warehousing. We perform domestic and international relocations, so whether you are moving across town, across the state, across the country or across the world, we have you covered. As a Colts Neck moving company, our full menu of competitively-priced moving services allows you to benefit from a customized move. Colts Neck Residential Movers: Choose from our many household moving services that include packing, custom crating, storage, vehicle shipping, unpacking and maid services for a move as unique as you are. Colts Neck Commercial Movers: Our commercial moving services are designed to relocate businesses, facilities, trade shows, hotels, restaurants and more efficiently and cost-effectively. Specialized Moving in Colts Neck: When you need high-value goods transported securely, damage-free and on-time, you need Simonik and our expertly trained crews. Warehousing and Distribution in Colts Neck: Warehousing and distribution services from Simonik improve your existing process and boost your bottom line. Colts Neck Storage: We can handle any size and scope records storage need, from storing a few files to an entire library, within our state-of-the-art warehouse. 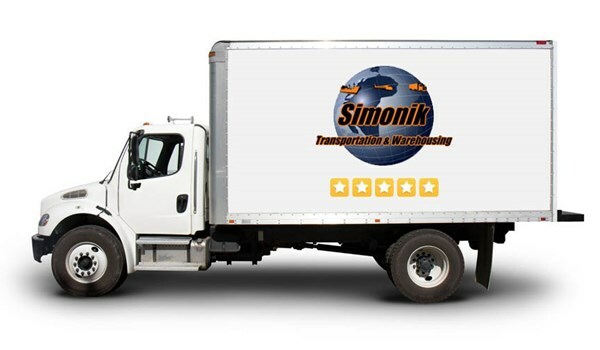 International Movers in Colts Neck: Move overseas with the expert international moving company, Simonik. Choose us as your Colts Neck movers, and let Simonik provide you with the best move you'll ever have. Contact us today to hear more about our Colts Neck moving services. Fill out our quote form for your free moving quote right now and work with the New Jersey moving company who excels at relocation solutions for residents and businesses throughout this city and the surrounding areas.